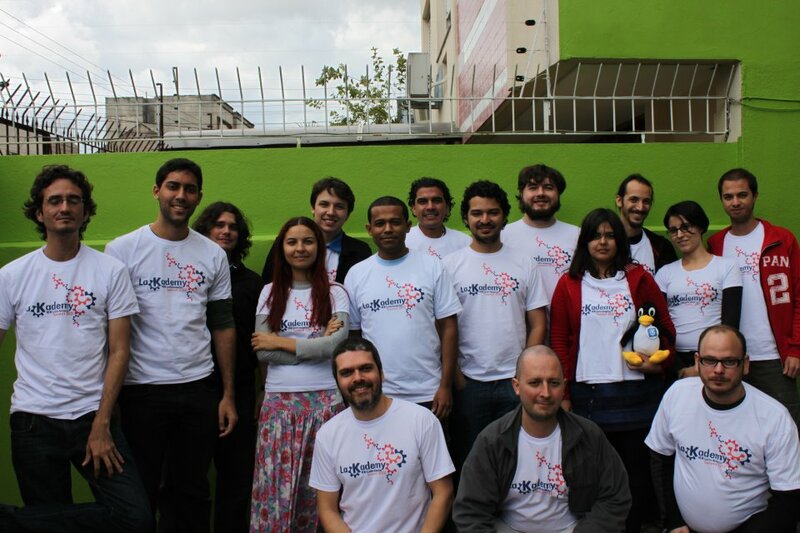 From August 27th to 30th, 2014, nearly sixteen KDE lovers met in the 2nd LaKademy - The KDE Latin America Summit. The sprint took place in the Free Software Competence Center (CCSL) at University of São Paulo (USP) in southeast Brazil. 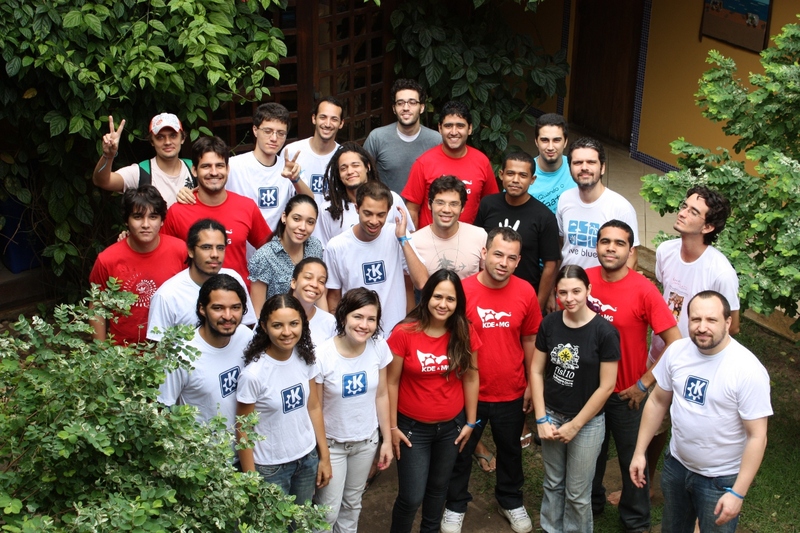 Since 2008, a bunch of initiatives have been taken towards the fostering and spreading of KDE community and technologies in Brazil and Latin America. Even though at a slow pace sometimes, such effort have yielded good results in disseminating the motivations and benefits of get involved in such a vibrant free software community, mainly in a region where the tradition of sprints is not yet fully consolidated. In 2010 the 1st Akademy-BR (Brazilian KDE summit) took place at Praia do Forte, Bahia, northeast Brazil. Nearly 20 participants met in a three days meeting where some of current active Brazilian KDE contributors made their first steps in contributing with coding, translation, and promotion. Some people have come and gone, but some of them got vastly seduced by the idea of coming together in the pursuit of sharing knowledge and making world better with high quality free software. Those remain pushing KDE in their universities, companies, and in high visibility meetings such as FISL and Latinoware. After Akademy-BR, we focused on trying to better integrate KDE people from other countries in Latin America. Some contributors from Peru and Argentina were invited to present their work at previous editions of Latinoware, meet the Brazilian fellows, and help deciding on actions to narrow KDE relationships in Latin America. Such an effort culminated in the 1st LaKademy, held in Porto Alegre, south Brazil, from April 27th to May 1st, 2012. Sixteen participants from Brazil, Argentina, and Peru were involved in artwork, translation, promotion, and development activities. Two years have passed again until the time for the 2nd LaKademy, held at the Free Software Competence Center (CCSL) at University of São Paulo (USP) from August 27th to 30th, 2014. USP is one of the most important and prestigious universities in the world and CCSL is a two-storey building entirely devoted to free software projects, quite close to IME (Mathematics and Statistics Institute) - where Computer Science, Mathematics, and Statistics courses are offered. Motivated by an expected audience of potential KDE newcomers, we've decided on a schedule with KDE talks on the very first day, an introductory Qt short-course on the second day, and the usual contribution sprints happening in the last two days of LaKademy 2014. Sadly, the number of guests was lower than expected. In spite of that, the talks allowed us to better know each other's work in KDE and the Qt short-course was a place to clarify common doubts and providing an initial support for the KDE newcomers specially attending LaKademy 2014. What we have done ? The first day of LaKademy 2014 began with the Lamarque's talk about Eduroam and Plasma Network Management. Afterwards, Rafael Gomes presented his KDE SysAdmin talk - which provided some interesting information about KDE infrastructure and all the work undertaken behind the scenes in order to support KDE technologies development and community communication. The next talk was about KDE Connect, presented by Ronny Yabar, where the most exciting features of KDE mobile-desktop integration were presented, followed by a brief discussion about its architecture. At the end of the day, Filipe Saraiva presented a talk about Qt and KDE applications on Android, with a special note to the GCompris case. A Qt introductory short-course was presented by Sandro Andrade in the second day of LaKademy 2014. Given the limited time available, the focus was on the essential aspects underlying the Qt-ish way of developing cross-platform applications: signal/slots mechanism, (dynamic) properties, meta-objects, moc and uic compilers, event loops, and basic design of interfaces using QtWidgets and QML. In the audience: some newcomers invited to attend LaKademy, translators trying to get a grasp on programming, veterans helping to make some points clearer, and three guests from USP. The BoF about KDE promo lasted about two hours and raised a number of questions, evaluation of strategies, and seventeen tasks were recorded in todo.kde.org ('KDE Brazil' project), including the development of promotional material, webinars, KDE presence on social networks, and financial aspects. Filipe helped in fixing the web bots for spreading news in Facebook e Twitter. The next LaKademy was also one of the exciting discussions during the KDE Promo BoF. In general, we agreed on having the 3rd LaKademy happening already in the first half of 2015. The venue is also almost confirmed. As for the artwork outcomes, Adriana (who joined the group at the very last minute), Viviane, and Wagner produced some amazing stuff in those days. What about these new Konqi and LaKademy wallpapers? A LaKademy commemorative KSplash theme was also developed. Finally, Aracele, Camila, and Bianca were involved in translation activities. They focused on techbase translation, which got from 18% to 24% during those days. At the end of the third day, we had a beer-and-pizza lovely night at the Garoa Hacker Club, with a lot of lightening talks, KDE keyrings getting out of a 3D printer, and other nerdiness. We would like to say a big 'thank you' to the KDE e.V. for the financial support, to the Free Software Competence Center for hosting LaKademy 2014, to Viviane Notato for the artwork support, and to Aracele and Filipe for the local arrangements. We hope to meet each other again soon, at LaKademy 2015, with a 4-5 days of sprints only. No talks, no short-courses :). After all, where can we get the most of fun from when contributing to KDE? How cute can modeling be ?